As for the last few years the Evening Series will consist of two separate competitions. The first will be a series of time trials held on the Seamer circuit. The second will be a short series of hill climbs held on Clay Bank. 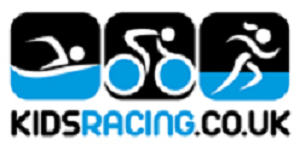 The events will be run according to the rules and regulations of Cycling Time Trials (CTT). They are CLOSED events, only open to club members including second claim members. All competitors take part at their own risk, abiding by the Highway Code at all times. If in their judgement it is unsafe to ride or to continue they should not ride/stop. The cost for both Time Trials and Hill Climbs is £3 per adult ride, £2 per junior ride including CTT levies. Pay on the line. To qualify for a “prize” a rider needs to register. This is free of charge but registered riders will be expected to marshal once over the course of the season. Second claim riders whilst not eligible for prizes are encouraged to register. All results will be sent by email to registered riders.